A picture book biography of the first woman in flight—Amelia Earhart—by NCTE Orbis Pictus Award-winner Robert Burleigh. Award-winning author Robert Burleigh has captured Amelia Earhart's first solo flight across the Atlantic in 1932. She was only the second person to do this – and the first woman. Rich in detail, feeling and incident this is nonfiction with edge and action, a you-are-there experience made more dramatic and real by Wendell Minor's vivid paintings. the Atlantic’s frothing surface, and a cracked exhaust pipe (“The friendly night becomes a graph of fear”). come from America.” Minor’s illustrations maintain tension by alternating between cockpit close-ups and wide views of the plane crossing the foreboding ocean. Predominant reds and blues convey the pure excitement of the nail-biting journey. An afterword, along with Internet resources, a bibliography, and a column of Earhart quotes, increases the book’s value for curious children who might want more. Finally, Minor’s endpapers, with a well-drawn map and mechanical illustration of the plane Earhart called the“little red bus,” also work to inspire further learning. BURLEIGH, Robert. 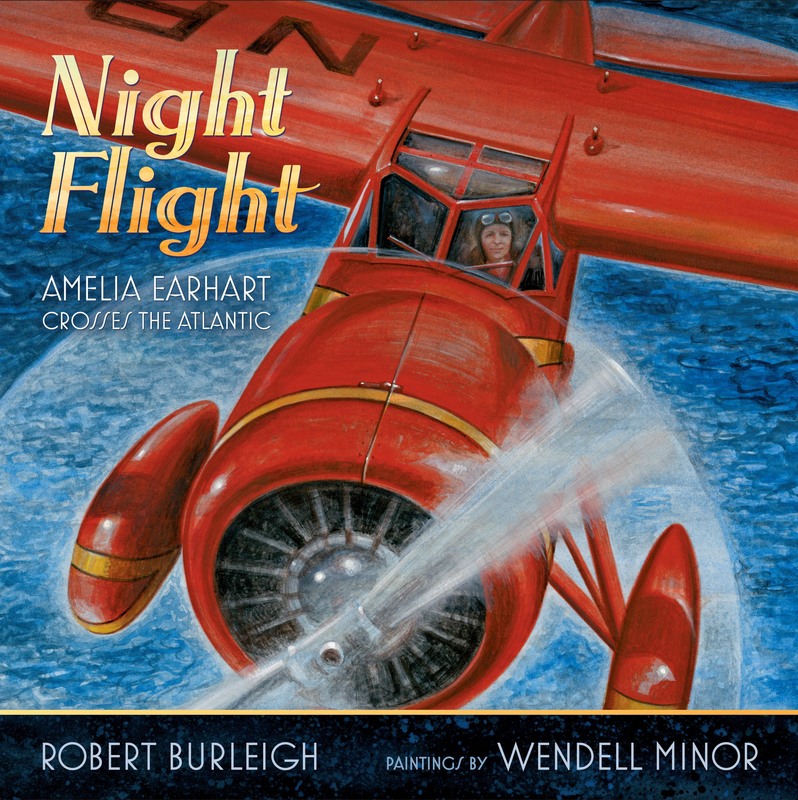 Night Flight: Amelia Earhart Crosses the Atlantic. illus. by Wendell Minor. 40p. bibliog. Web sites. CIP. S & S/Paula Wiseman Bks. Feb. 2011. Tr $16.99. ISBN 978-1-4169-6733-0. LC 2008052269. Burleigh, Robert; illus. by Wendell Minor. This vivid free-verse account of Amelia Earhart’s 1932 flight from Newfoundland to Northern Ireland, the first-ever solo transatlantic flight by a woman, settles into the cockpit and describes what the legendary pilot might have seen and felt during that long, tense, exhilarating trip. Minor’s paintings heighten the immediacy, depicting Earhart’s blazing red Vega in both long shots and close-ups, braving the mercurial sky. 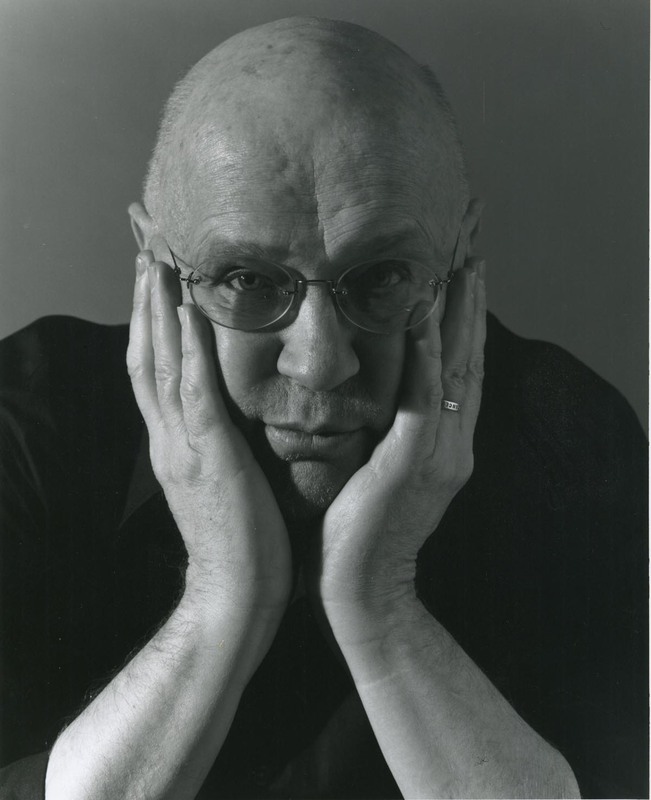 Although Burleigh’s imagery is sometimes overwrought, he succeeds in making the danger feel real, as when a storm ices the wings, pushing the plane down toward the ocean. “How close is the water’s surface? She bursts through the lowest clouds. / There it is, rushing toward her. Near. Nearer.” Such a harrowing night makes Minor’s exquisitely rendered ocean sunrise and the subsequent sight of land seem all the more gorgeous, exemplifying one of the quotes attributed to Earhart in the back matter: “The lure of flying is the lure of beauty.” And, as Night Flight suggests, the lure of feeling alive. The endpapers include a map of Earhart’s flight path, and there is a list of resources. From start to finish, children are engaged in Amelia Earhart’s adventure as she becomes the first woman to pilot across the Atlantic Ocean by herself. End pages depict a sketch of Earhart’s single-engine plane, a compass, and a timeline. Told in third person, the reader feels and hears everything Amelia experiences as she journeys from Newfoundland, Canada, to Northern Ireland. Minor’s magnificent paintings capture the excitement of the adventure from start to finish through a variety of perspectives. Writing and illustrations are perfectly matched to take the reader from an ascending plane traveling toward blue skies to a vessel fleeing a darkened thunderstorm, nose-diving toward the treacherous Atlantic waters. As Earhart’s knuckles whiten and flames stream out of a cracked exhaust pipe, readers wonder what is to become of her. Morning comes and sunlight breaks through as Earhart lands with a jolt in Northern Ireland’s countryside. An afterword includes a historical biographical note and a technical note about the plane. Also included are a bibliography, Internet resources, and a selection of famous quotes by Amelia Earhart.